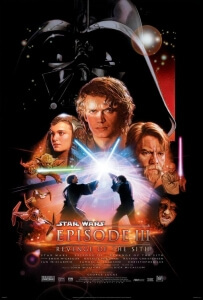 Easily the best of the prequel trilogy, Revenge of the Sith is the film that ties in more with the original trilogy than either of its predecessors combined. More importantly, it gives fans and audiences exactly what they had hoped to see from the moment the trilogy was originally announced: Anakin Skywalker finally turning to the Dark Side of the Force to become Darth Vader, the extinction of the Jedi that left only a handful alive, more new worlds than ever before, the birth of twins – and heroes of the original trilogy – Luke and Leia, and so much more. THIS is the Star Wars movie so many had wanted to see from the moment they heard that George Lucas was making prequels. Suddenly, all that waiting and having to deal with two underwhelming movies felt worth it, and this was the first movie in the series since Return of the Jedi to feel like a completely satisfying product. Is it perfect? Absolutely not. Although this is better written and directed than the previous two prequels, it’s not by much; he still struggles to mine natural performances from his actors, who are once again left with having to say clunky lines of dialogue with a straight face (Ewan McGregor’s face whenever he tries to say the word “younglings” always seems on the verge of cracking up from the sheer silliness of it), and there is still an overwhelming use of CGI that comes dangerously close to being completely vapid and lifeless. Honestly, though, they don’t seem to be big problems here. The acting, stilted though it may remain, is still a vast improvement on what came before, with even Hayden Christensen managing to convince with one or two of his more emotional moments. Ian McDiarmid, a supporting player in both previous movies, finally gets the chance to stand out as the future Emperor Palpatine, and his performance is delightfully hammy and over-the-top as if he knows the kind of movie he’s in and just wants to have as much fun as he can (good make-up work on his face once it becomes the wrinkly deformed face we all know, too). Sure, everyone has a clunky script to work with, but here you can definitely tell they’re having at least a little bit of fun bringing it to life. The CG, too, is also put to good effect here. Significantly trimmed down from its overuse in Attack of the Clones, though there’s still plenty of it to be found here, this is the first and only time in this prequel trilogy that the visual effects have actually helped to make things more enjoyable rather than make things needlessly fake. The opening sequence alone, set during a rescue mission in a war-zone high above the planet of Coruscant, is still a breath-taking use of Industrial Light & Magic’s effects department even ten years on; and as we get to travel to new places like the exotic Utapau or the volcanic Mustafar – the latter being the setting for the operatic final lightsabre battle between Anakin and Obi-Wan Kenobi – they look more real than they would have if they had been made along with the effects for the previous two films. For a film series that has been endlessly criticised for its over-indulgence of CGI imagery over practical effects – and for good reason – people don’t seem to realise that even a decade after its release the majority of these effects are still pretty damn awesome today. We definitely think that with this film, they peaked for the first time since the original trilogy bowed out twenty years prior, and even the harshest critics of the previous two films seemed to agree by giving it a 79% rating on Rotten Tomatoes compared to the late-50s and early-60s respective ratings for The Phantom Menace and Attack of the Clones. Since then, however, many fans have noted the inconsistencies between this and the original trilogy, such as Leia’s later claim that she fondly remembers her mother Padmé yet she died when Leia was literally a newborn, as well as both R2-D2 and C-3PO’s memories being wiped to explain why they didn’t remember anything for later yet Darth Vader never recognises C-3PO as the robot he made when he was a child, etc. And of course, need we forget…. 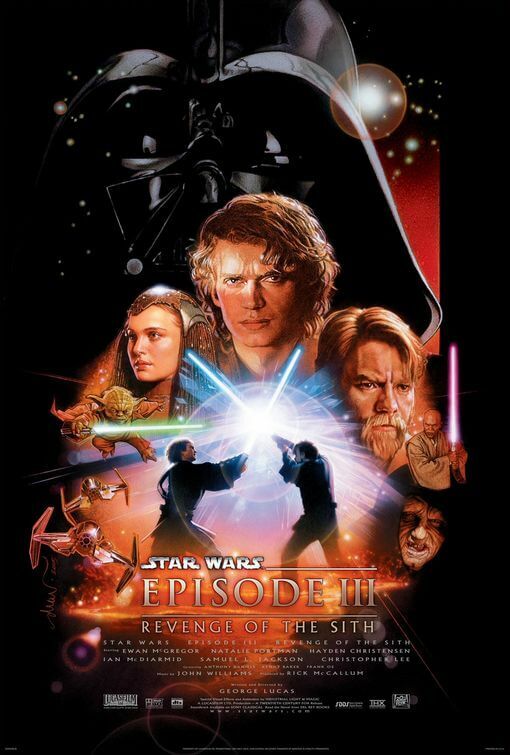 But as inconsistent as it may be, Revenge of the Sith is by far the best and most enjoyable of the prequel trilogy – shame it came too late in a world where Jar Jar Binks was enforced upon the world. Either way, at least we have the original classics to fall back on. Revenge of the Sith is easily the strongest of the prequels, and though it suffers from the same stilted writing and direction that came before it, it’s still a far more satisfying product thanks to its much more fun tone and use of CGI effects than either of the prequels combined.